Specialising in supporting small businesses and charities I offer a range of administration work for your needs. Whether it is drafting a professional document, policy or letter to applying for funding for a project, capital or core costs you can rest assured a professional, affordable and fast service awaits you. With over 5 years experience in law, policy, advertising, business administration and supporting small businesses and charities I have a great understanding of your business needs, and delivering quality work in a timely manner. Please contact me by email with your questions or requests and we can get started in promoting, building and supporting your organisation. I look forward to hearing from you. We are a non-profit organization looking for local businesses who need an extra pair of hands! We are part of the Erasmus+ programme and accredited and receiving organization. We have 10 groups of students coming to Bristol in the upcoming months and looking for local businesses who would like get an extra pair of hands to help with any of their projects. Sectors include admin, marketing, care, IT, mechanaics etc. This is a voluntary placement so there is absolutely no cost to yourselves. Placements normally last 5 weeks and students are able to work full time ( 25-40 hours a week). Placement length and starting date are flexible. This is an excellent opportunity for open-minded businesses who would like to get an extra pair of hands at no cost! Our students are self-motivated and have an exccellent level of English (a language test needs to be passed prior to enrolling in this project). If you're wondering how this can be free to you, the answer is: it's all funded by Erasmus+. Please, any questions, do get in touch: enquiries@ukintern.co.uk or 0117 244 6408. Student consultancy projects offer local organisations free consultancy in exchange for hosting a final year undergraduate student project team. Each academic year we work with small local organisations as partners in our unique student consultancy scheme. Client organisations benefit from free consultancy on systems analysis, information management and strategy, web design or other ICT-related matters, in exchange for hosting a project team. Student teams of four or five "consultants" work in client organisations for up to a day per week between late October and late March. Only a small number of projects can be run annually, so a selection process is involved. Projects vary widely. Previous clients have benefited from feasibility studies on the use of ICT. Others have involved web design and software development. Some look more broadly at enhancing organisational effectiveness through improving non-IT systems. Projects focusing on computing or social media are encouraged too. We also welcome innovative, exploratory ideas that take advantage of new technologies. The event is on 18th July and there's an eligibility test applicants will find when they go to book tickets here. The workshop is the gateway into a 12 month national programme where they'll be reviewing and testing resources with peer learning and one to one support thrown in - so this is quite a juicy opportunity. Add capacity to your organisation this summer with an etnhusiastic and motivated student volunteer through Bristol Hub's Social Impact Voluntary Placement scheme (SIVP)! 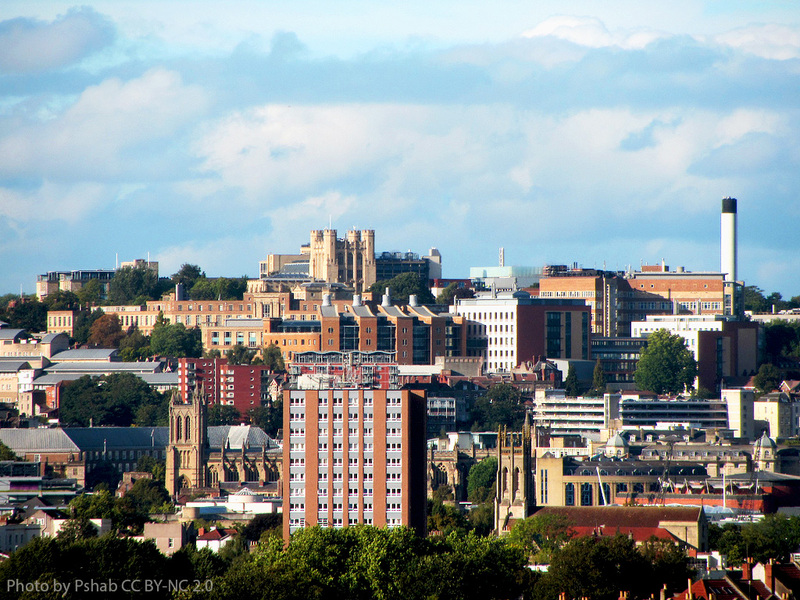 Bristol Hub is a student social action charity working with University of Bristol students and community partners across Bristol to develop and deliver meaningful social action activities. Bristol Hub is looking for host organisations for our Social Impact Voluntary Placement Scheme running this summer. SIVP exists to give passionate, socially engaged students the chance to gain meaningful work experience in the social impact sector. Last year we connected 134 students with internship opportunities in 80 organisations and we’re hoping to do the same this year. We specialise in hassle free recruitment of high calibre students. We’ll take care of the entire process - from advertising and recruitment, to matching and placement. Hosting a placement adds capacity to your organisation and our motivated students are sure to bring a fresh perspective to your work. If you have a meaningful placement opportunity this summer and are interested in becoming a host organisation, you can apply on our website: https://internship-scheme.studenthubs.org/ Feel free to get in touch with Emma at Bristol Hub via manager@bristolhub.org if you have any questions. CIPD qualified HR Professional who has worked with voluntary organisations for many years giving HR advice and support. Whatever your HR challenge, Sarah is very approachable and would love to hear from you. Family Court initiatives for those without lawyers - please circulate! This is a site for those who are using or might use the Family Courts in Bristol, Weston, Gloucester or Bath (essentially people who live in Glouc, S Glouc, Bristol, N Somerset, BaNES). Read more about Family Court initiatives for those without lawyers - please circulate! A great opportunity for personal assistants and employers has come up. WECIL have obtained funding from Skills for Care to support PAs to undertake a Personal Assistant Apprenticeship. The apprenticeship is available to PAs who work a minimum of 16 hours per week (these hours can be a total worked across a number of employers). The apprenticeship is free and starts in March. WECIL will be able to help support you and your employee throughout the training. Do you organise an outdoor event in your community or would like to? FREE training sessions in all aspects of planning an event are being run in February and March 2015 to help Bristol residents put on spectacular and sustainable shows.